Creamy Lemon Hummus is a fresh snack alternative to heavy dips. 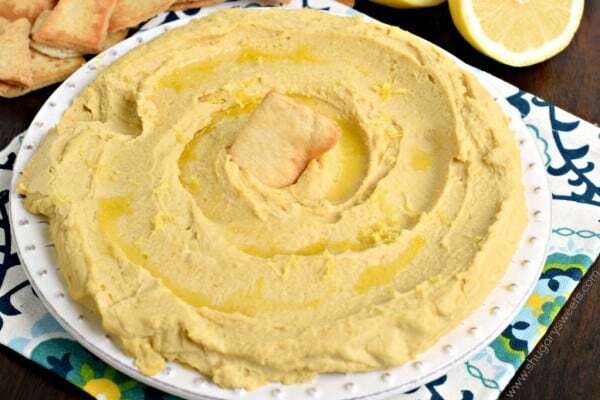 One bite of this hummus will keep you coming back for more!! Have you tried Lemon Hummus yet? Back in March, I got to spend a few days with some amazing food bloggers, and one of our sponsors was Sabra. They sent TONS of snacks for us. Including their new Lemon Hummus. It was delicious, and I took all the leftovers home. Seriously. I then came home and stalked my grocery stores for months, waiting to find this hummus. I found it in Orlando (nowhere near my home, but bought one while on a trip down there), but have yet to spot it here in the Chicago burbs. And since I have yet to become a brand ambassador for Sabra (I must start begging soon!! ), I decided to whip up a batch of my own Lemon Hummus. You guys. Please if you have not tried this, do so immediately! Always peel the skins off your chickpeas (garbanzo beans). I know some people dredge them in a bowl of water and let the skins float to the surface, but this NEVER works for me. I drain and rinse my beans, then pinch the skins off individually. They pop right out of the skin. Takes a little extra time, but you can put your kids to work or turn on a good movie. Having the skins removed will result in a creamier hummus! 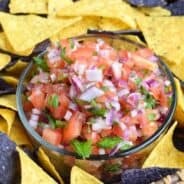 Use fresh ingredients when possible. For this recipe, fresh lemons zested and juiced keep the recipe delicious! Use as little liquid as possible in the beginning, you can always add more if needed. I usually reserve a tablespoon of the chickpea juice in a little bowl just in case. Sometimes I don’t use it, sometimes I do. Using the liquid from the chickpeas results in a creamy texture. I use my food processor on high speed when processing my hummus. Adding the ingredients while it’s running keeps the beans moving, which prevents clumping. I’ve heard some people use blenders, but I haven’t had luck with it mixing well enough. Let the hummus sit. I prefer a minimum of 4 hours, but overnight is best. Don’t get me wrong, you can totally dig into this hummus immediately if you wish, but the flavors meld even more when given the chance to rest. Finally, looking to make a pretty presentation? Drizzle an extra tablespoon of olive oil on top and add some extra lemon zest or a few curls of lemon peel. 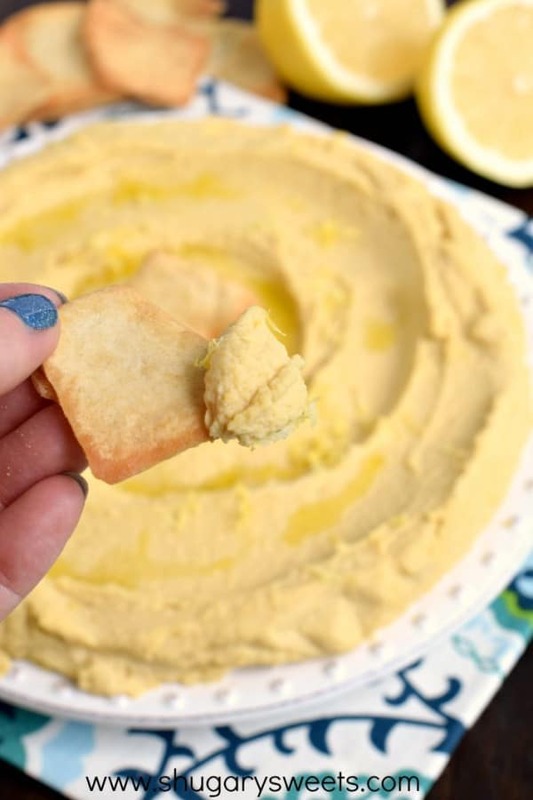 Now that you have this Lemon Hummus recipe…let’s talk about “dippers.” What do you like to dip in your hummus? Personally, if I’m feeling healthy, I only dip veggies in it. But, if I feel like being “snacky” I’ll open up a bag of Stacy’s Pita Chips (my favorite!!). Right now, I’m feeling healthy….so I’m going to go grab my fresh vegetables and have a little snack! ENJOY!! Rinse beans and peel off skins (I do this by pinching them, they pop right out of the skin). 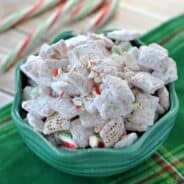 This is optional, but it does result in a creamier texture. In a food processor, combine beans, tahini, lemon juice, lemon zest and salt. Process for several minutes until beans are pureed. While running, slowly drizzle in the olive oil until well blended. To serve, spread on a medium plate (or pie plate). Drizzle with additional olive oil (about 1 Tbsp) if desired and sprinkle with additional lemon zest (optional). Store covered in air tight container. 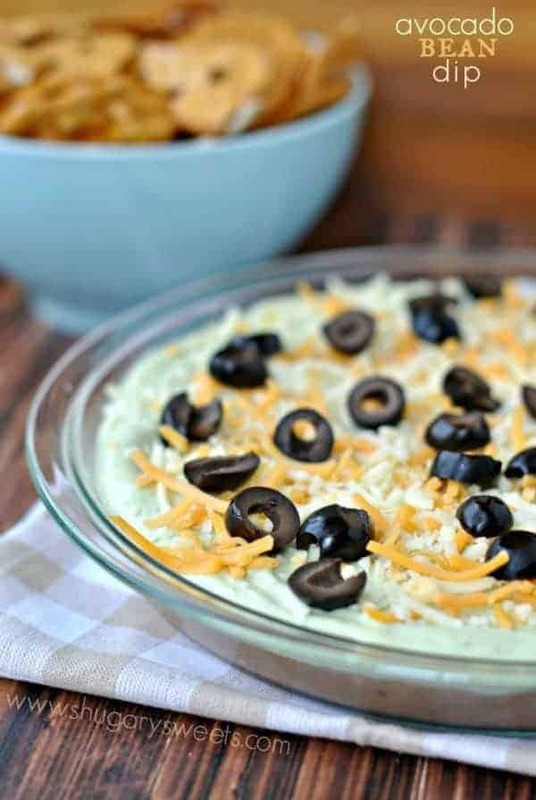 Avocado Bean Dip: creamy, healthy, delicious dip! 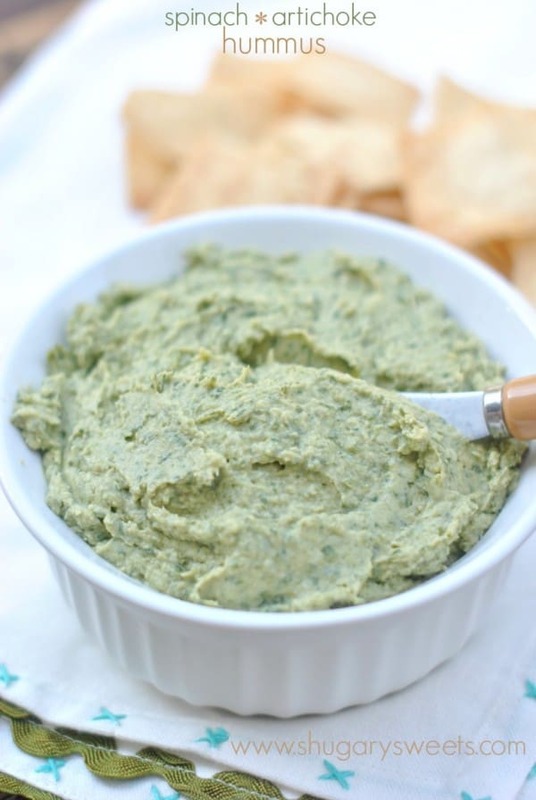 Spinach Artichoke Hummus: a collision of my favorite artichoke dip with spinach dip with hummus! YUM. 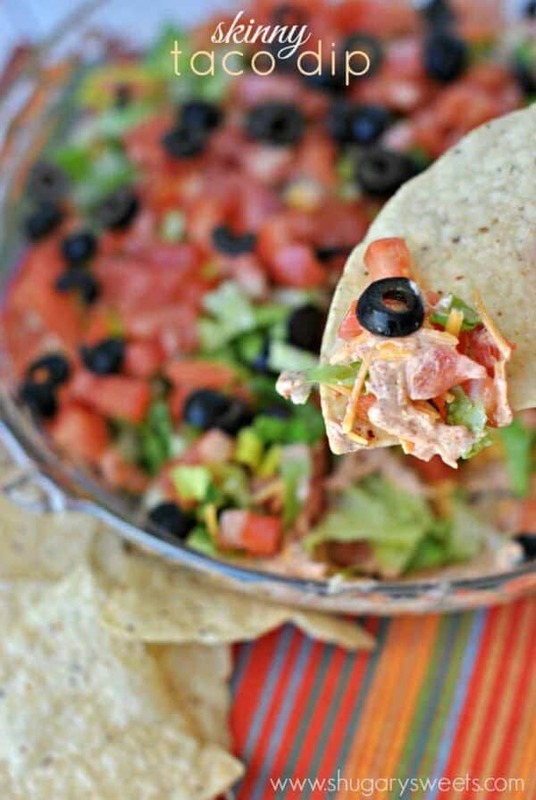 Healthy Taco Dip: an easy, quick snack idea with no guilt!! OH MY GOSH. 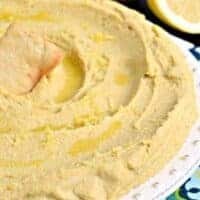 LEMON Hummus? I am pretty sure I just died. I put hummus on everything, and I obsess over anything lemon…but I never dreamed of them coming together. This is. AMAZING. Pinned! Thanks for pinning Taylor. One bite of lemon hummus and you’ll see why I’ve been obsessed! I love hummus, this one sounds fabulous! Sabra makes lemon hummus?!?! Why did I not know about this? Must. Find. Immediately. Where have I been? Lemon hummus sounds delicious and I can’t believe I haven’t seen it. I can’t wait to try this out. And I’m horrible because I never peel my chickpeas, but I do you my food processor so that counts for something right? 🙂 Pinned! Looks SOOOO good! I bet the lemon flavor is delicious! I’ve been stalking the Sabra hummus every time I go to the grocery store. Right now, my favs are the Roasted Pine Nut and the Rosemary and Sea Salt. I’ve never seen the lemon hummus. I want to find it now! Until then, I’ll have to give your recipe a try. It looks incredible, Aimee! 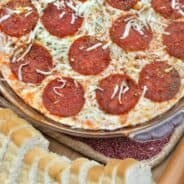 Rosemary and Sea Salt??? GAHHHH. That sounds amazing too!!! 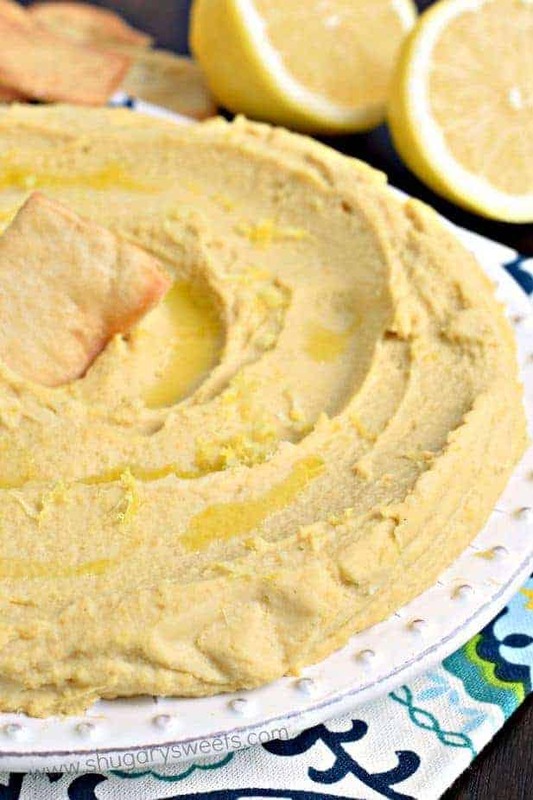 I love eating hummus with lemon juice squeezed on top, but I never thought to actually make lemon hummus. This is my kind of snack. Another good reason to take the skins of chickpeas: it really decreases the ….er…. occasional after effects of eating hummus. I have never thought humus could be so refreshing 🙂 Seems like something I would try and I am almost certain I’ll love it! My daughter loves humus so much. Can’t wait to let her know about this recipe. Hopefully, she will prepare it for her old man. Super yummy! I added few crushed cloves garlic to this (surprised it wasn’t in the recipe, I can’t think of a hummus without a little garlic).